Now, let’s discuss each type of turmeric face pack in detailed. Combine the milk, almond powder, and a pinch of turmeric till you get a paste. In case it is too thick, you may add some more milk. Apply evenly on clean skin over the entire face and leave it on for 15-20 minutes. Wipe away with a clean, warm cloth. Finish off with a splash of cold water. Don’t forget to moisturize! Use once a week. 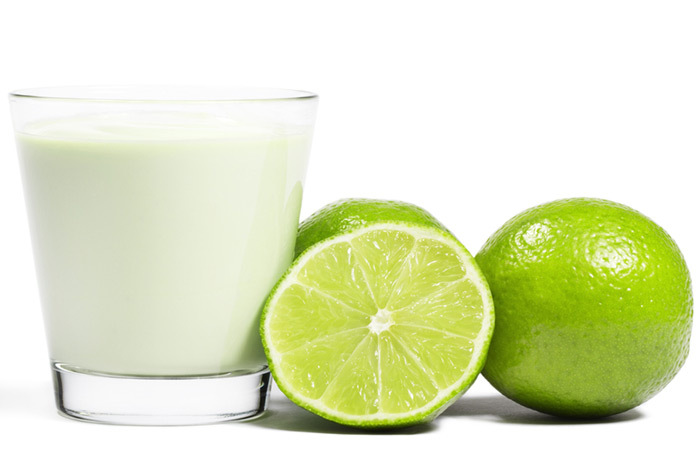 Milk: This ingredient helps to revive dry skin and promotes tissue growth, which reduces the chances of early aging. 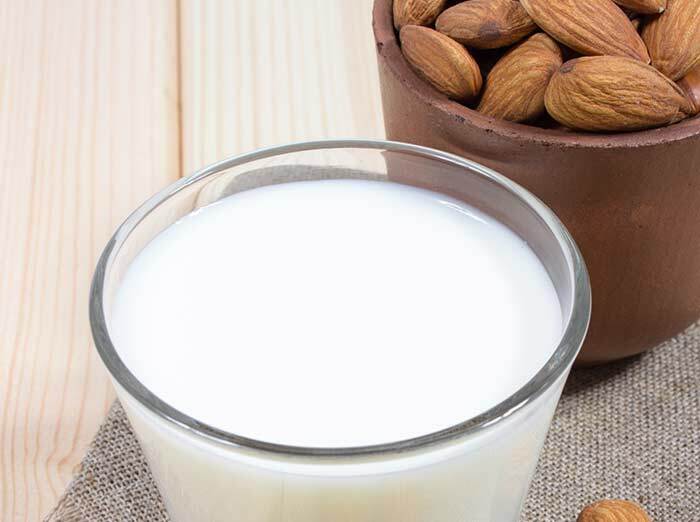 Almond Powder: This adds moisture to the skin and repairs damaged skin cells. If you, like me, have acne prone skin, you probably understand how hopeless it feels when you’ve tried multiple treatments, toners, and lotions, and none have worked. It’s time to switch from all those chemicals to these natural ingredients that were often used by our ancestors. This is one of the best turmeric face packs for oily skin. The bacteria help to soothe the skin and prevent breakouts. Mix well to form a smooth paste and apply all over the face. Keep for 15 minutes and rinse off with cool water. Use once a week. Yogurt: There are bacteria present in curd, which, when applied to the face, battle and kill the bacteria that cause acne. 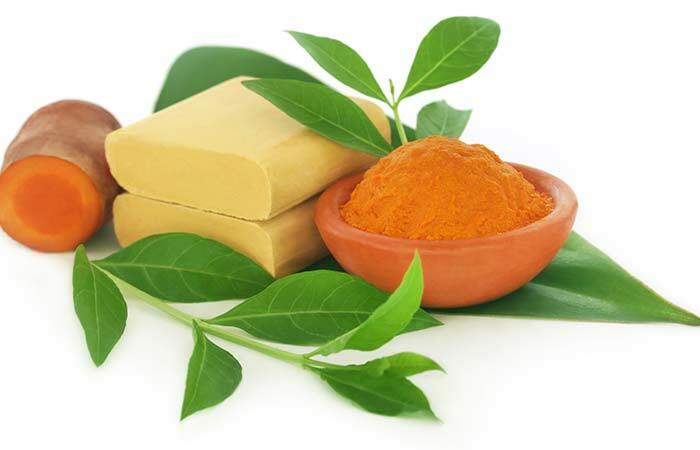 Fuller’s Earth/Multani Mitti: This particular ingredient does wonders for your skin. It contains essential minerals like quartz, magnesium, calcium, iron, silica, dolomite, and calcite, which improve the condition of your skin. Excessive production of sebum and oil by the sebaceous glands is the main reason for oily skin. Thus, one has to keep the face clear of the excessive oil by cleansing it regularly. Turmeric is known to regulate the production of excessive sebum and is thus beneficial for oily skin. 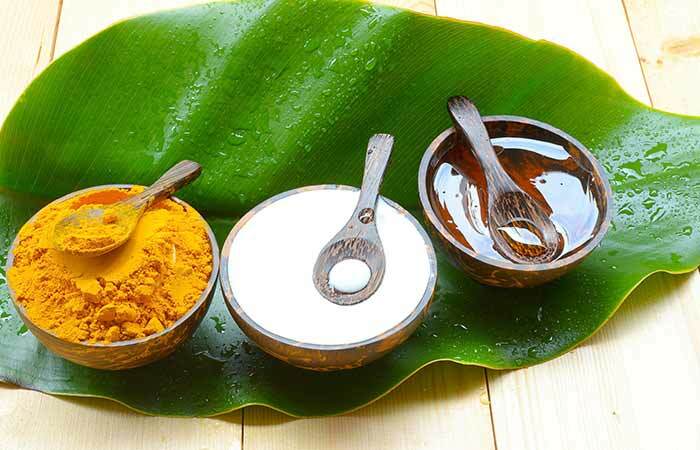 A sandalwood and turmeric face pack will absorb any excess oil and make your skin smooth and non-greasy. Apply and keep for 15 minutes before rinsing with cool water. Use this a couple of times a week. Mix the gram flour, turmeric, and lemon juice. Add water to make a paste. Apply it all over the face and leave it on for about 10-15 minutes. 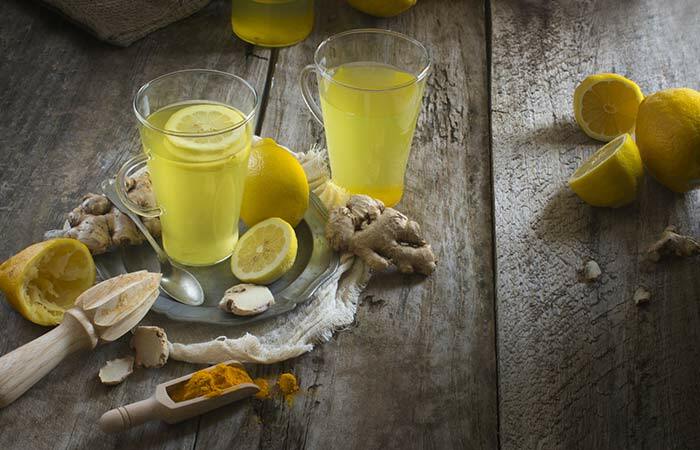 Be careful with the turmeric; if you have extremely pale skin, it can make your skin appear yellow. Wash off, pat dry, and follow it up with a moisturizer. Use it a few times a week for a month. Lemon Juice: Lemon is acidic in nature, which helps in eliminating excess oil. Sensitive skin is very difficult to maintain as it tends to be allergic to most of the cosmetic products. Frequent redness, inflammation, and itching are some of the visible and common signs of sensitive skin. 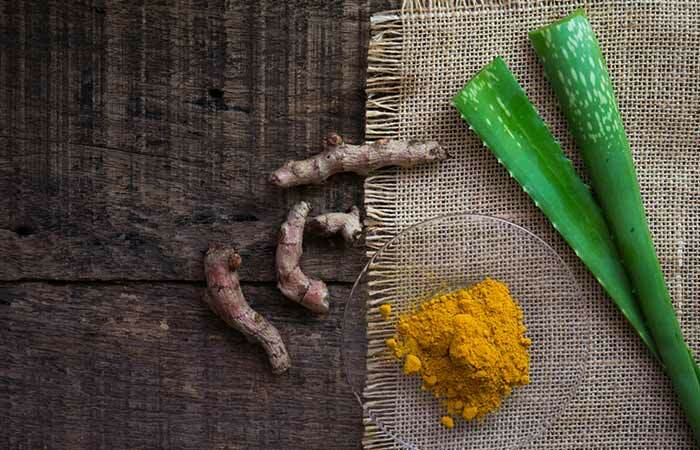 Turmeric and aloe vera are extremely beneficial for sensitive skin as they soothe and reduce inflammation. Apply the pack all over the face and keep it on for 20 minutes. Use it a few times a week, or whenever you notice irritation. Aloe Vera: It contains antioxidant properties that help to smooth skin. It is helpful for rashes, burns, and irritated skin. Yogurt: There are bacteria present in curd, which, when applied to the face, kill and battle the bacteria that cause acne. Fuller’s Earth/Multani Mitti: This particular ingredient does wonders for your skin. It contains essential minerals like quartz, magnesium, calcium, iron, silica, dolomite, and calcite that improve the condition of your skin. 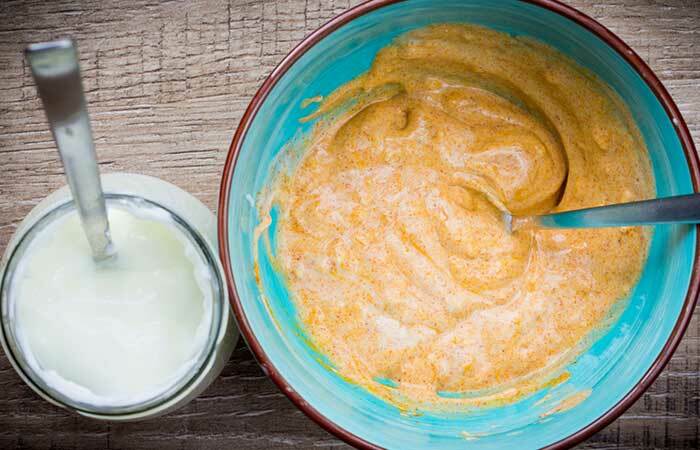 Mix the lemon juice, milk, and turmeric to form a paste. Apply evenly throughout the face and neck. Spray your face with thermal spring water. Use it for a couple of times a week. 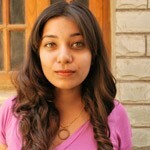 Pollution and the sun’s harmful rays are quite harmful for our skin, especially the skin on our face. Here are a few face packs that will help you retain the natural glow of your skin. Mix the turmeric and cornstarch. Once it has been made into a paste, add the honey. 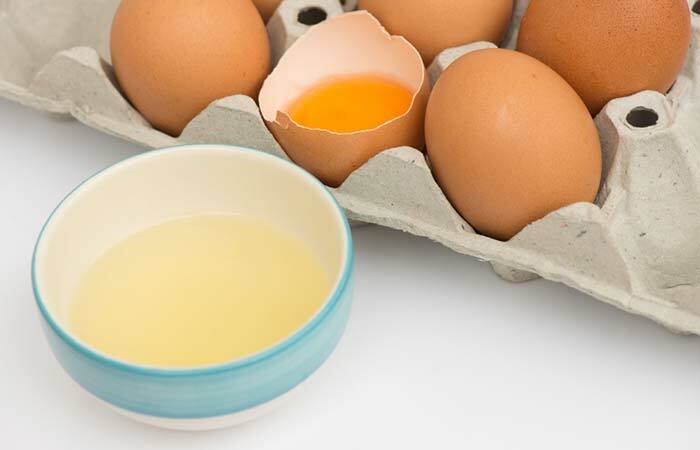 For oily skin, add the lemon juice and pour in the yogurt to create a creamy mixture. In the case of dry skin, slowly add the oil to make a paste. Apply the mask to the face and neck. Leave it on for 15-20 minutes. Use a warm wet cloth to remove the mask. Use once a week. 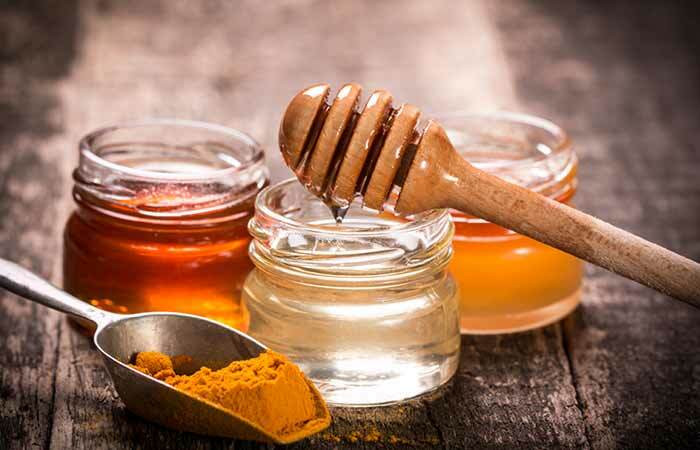 Honey: Honey is rich in antioxidants that can make your skin glow. Cornstarch: It works as a binding ingredient in the face pack. So your face looks lifeless and dull? 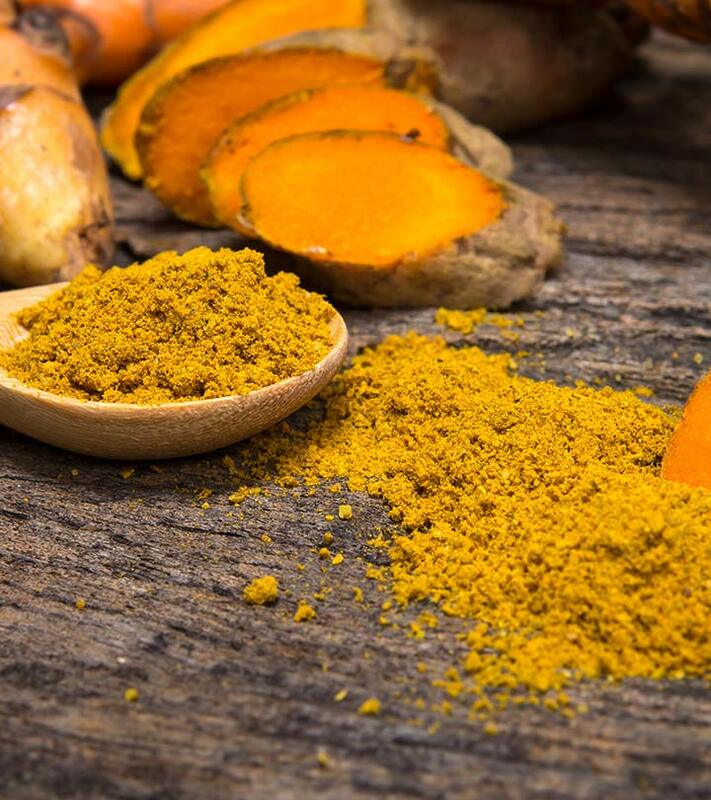 Your search has ended, so save your energy and let turmeric do what it is best at doing – healing! Turmeric has antiseptic properties that will heal the dead and damaged cells of your skin, giving you the glow you have been in search of! This face pack is the holy grail of face packs. It contains everything that will make your skin glow and feel fresh. Mix all of the ingredients mentioned above. Add some powdered oats or gram flour if you feel as though the mixture is not thick enough for a mask. Remove it with a warm cloth and splash cold water on your face. Use it once a week for a month. Carrot Juice: This is full of vitamins and minerals. Carrots also contain antioxidants, which restore healthy skin cells. Glycerin: This works as a natural cleanser and can help remove impurities and scars. Saffron: Saffron helps to remove dead skin cells and adds a glow to your skin. Radish Juice: This particular ingedient helps to brighten the skin. 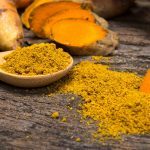 Make sure to use turmeric in little quantity and only a few times a week as it may stain your skin and turn it yellow. Use fresh ingredients as much as possible to achieve optimum results. Keep an eye out for the amount of lemon juice you use as too much can sting your skin and dry it out. 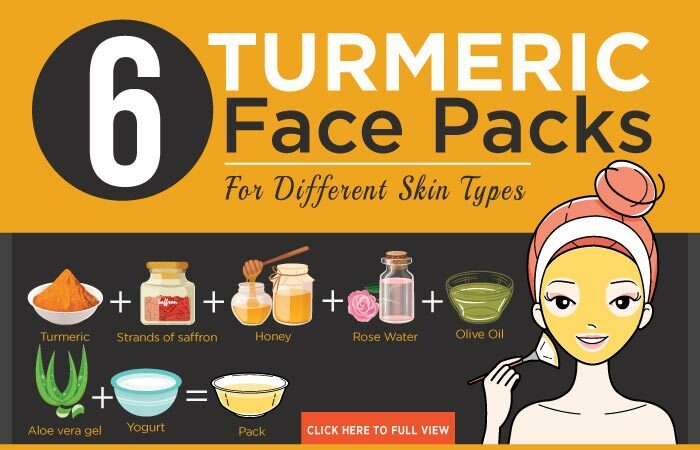 There you have it, turmeric face packs for various skin types. 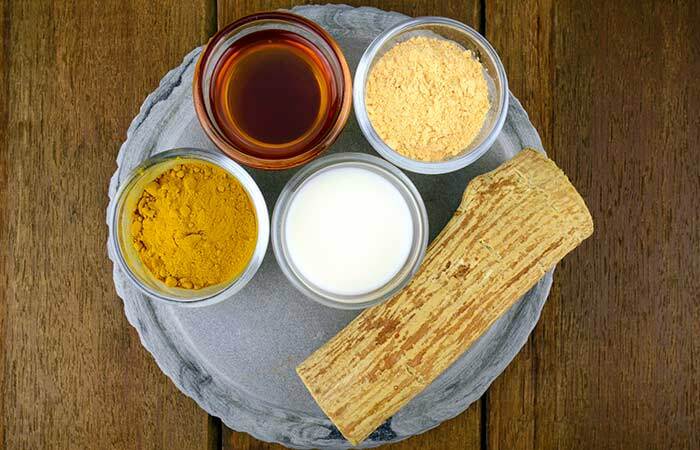 Turmeric has been a part of Indian culture since time immemorial. Whether it is used in the food we eat or as an antiseptic, it provides us with innumerable benefits. Do make sure to give these face masks a try and let us know which one you liked the most.